We get it, you either have a passion for boxing or would like to partake because punching people is frowned upon in society. Or maybe we’re way off and you really want to use it as a method to get in great shape. We understand boxing is a need these days for people for various reasons, so we thought it was an important service to offer! Take a look below for a description of our boxing services. Required for beginners and new members. 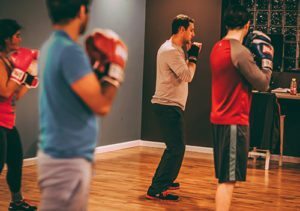 These classes go over the fundamentals and proper technique needed to advance to our level 2 class. 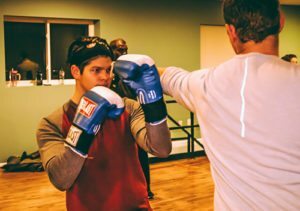 Your Coach will teach you how to properly apply your hand wraps required for each class, instruct and demonstrate the various punches in boxing, and work personally with you as needed to ensure you have adequate movement and punching as you practice. During these classes, minimal hitting will take place for the safety. 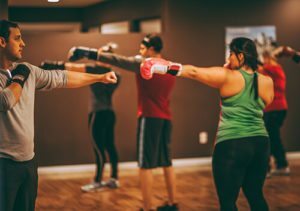 Your Coach will give you 5-7 minutes of warm up drills to get the blood flowing and your body ready for non-stop punching. For the next 45 minutes, you will be sent through stations with different punching combinations. Finally, we finish with 7-10 minutes of core work. Available upon request. Please fill out our form to indicate your goals for your private boxing training. We are ready to help you. Are you ready?